Yes that's right folks. I'm back. Refreshed and ready to get overwhelmed by the expectations of others and by what God is doing amongst us. 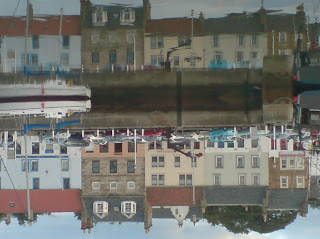 I enclose a photo of the harbour at Anstruther, which I took and inverted. It reminds me of what God longs to do - invert what we expect our lives to be and orient them to his kingdom values.